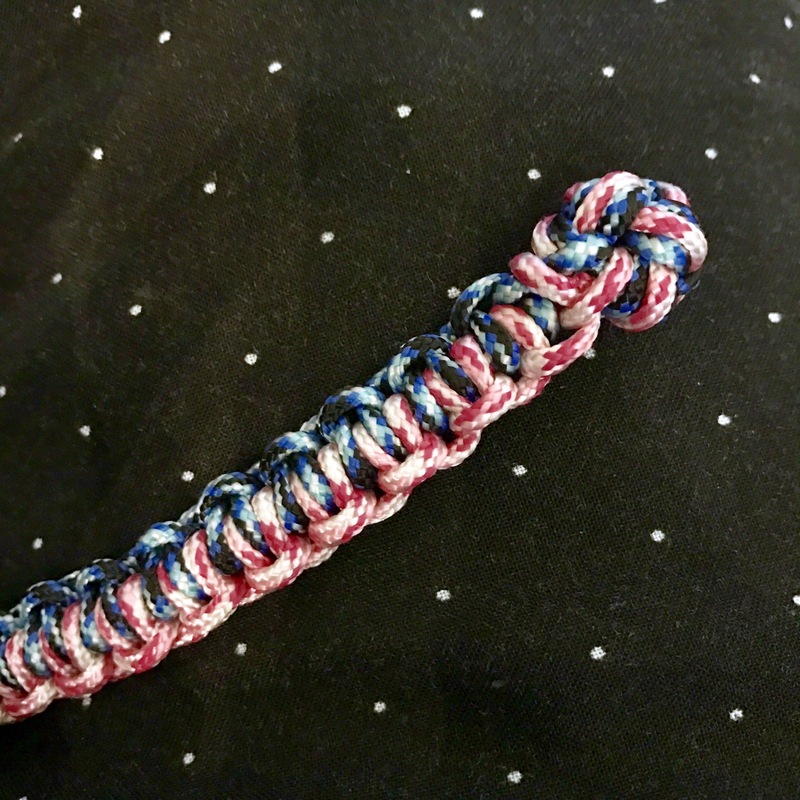 For my first paracord bracelet I wanted to try something two-tone with a loop on one end and ball on the other to fasten. I had decided on the Rattler pattern, which calls for about 6 feet of cord. I cut 8 feet because I knew my ball knot would take more length. I wanted a small flat knot to tie the loop. 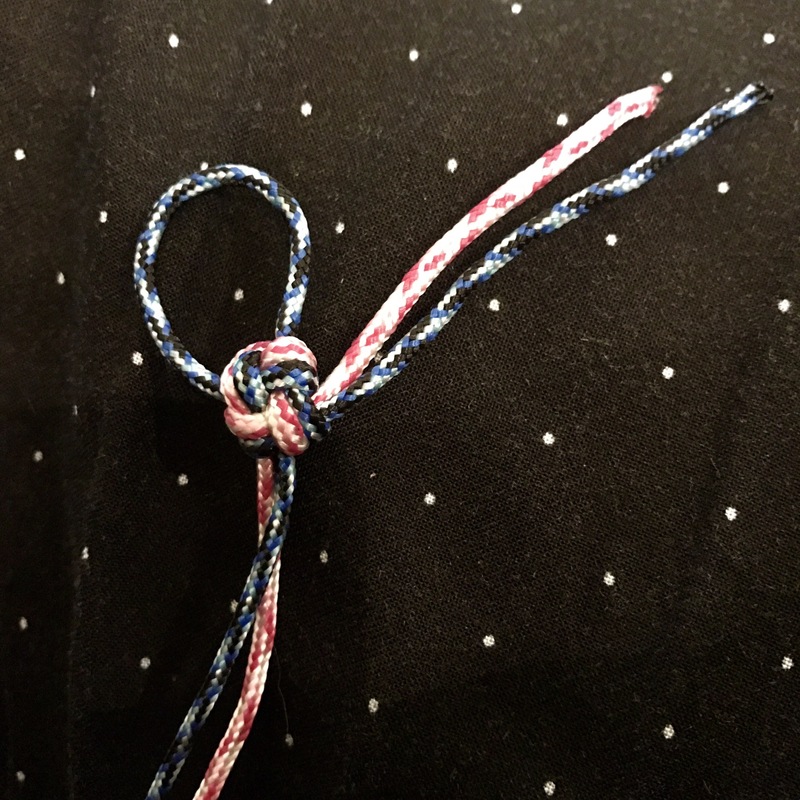 Next time I will use something different, but I do so like this little square knot, called a Rustler’s knot, or friendship knot. I found the chart for it at surreyknots.org.uk. For the ball I tried a Chinese button, but I was rubbish at that; it unraveled. I tried the lanyard, or diamond knot, from a chart, but that was terrible too. I’ve since watched a video and I think it’ll go better next time. I also tried a two-tone monkey fist; that too needs practice. In the end I settled on a 3L4B Turks Head shaped into a ball. Alas, the Turks head took too much length and I didn’t have enough to finish the Rattler! So that was attempt one. I’m undoing it to try something else, but I’m pleased with what I learned.